This blog is about the Huawei E5885 user manual. The Huawei E5885Ls-93a user manual guides users to know the Huawei E5885. 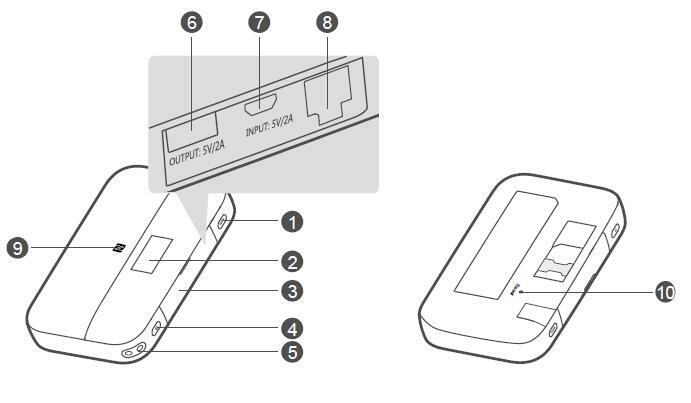 And the Huawei E5885 manual tells how to use and setup Huawei E5885 mobile hotspot. WPS button: To connect a WPS-enabled device to your HUAWEI Mobile WiFi Pro2 using the WPS button. 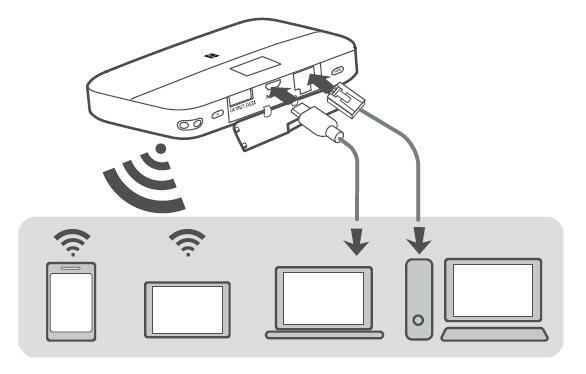 When WPS is enabled, press and hold the button for more than five seconds to set up a WPS connection. Power button: Press and hold to turn your HUAWEI Mobile WiFi Pro2 on or off. NFC sensor: Use NFC function to establish a Wi-Fi® connection. Reset button: Press and hold to restart your HUAWEI Mobile WiFi Pro2 and restore it to its factory settings. Note: If you forget the username, password or SSID for your HUAWEI Mobile WiFi Pro2, try restoring the device to its factory settings. You can view the current SSID (Wi-Fi network name) and Wi-Fi network key on the screen. We strongly recommend that you change the default SSID and Wi-Fi network key to keep your data secure. Use a network cable to reduce mobile data usage. Download the HUAWEI HiLink app to manage your HUAWEI Mobile WiFi Pro2 more easily. * Change the SSID and Wi-Fi network key. * Check data traffic and SMS messages. * Check roaming state and signal strength. * You can also manage your HUAWEI Mobile WiFi Pro2 through the web interface at http://192.168.8.1. The default username and password is admin. * Click Help in the upper right corner of the web interface to learn more about your HUAWEI Mobile WiFi Pro2. If you are using a device (such as an Android phone or tablet) with NFC functionality, you can connect automatically to Wi-Fi by simply touching your device against the NFC sensor on the HUAWEI Mobile WiFi Pro2. Before starting, make sure that your phone or tablet is unlocked and that NFC is enabled. Ensure that your HUAWEI Mobile WiFi Pro2 is powered on and that you have the HUAWEI HiLink app installed on your device. 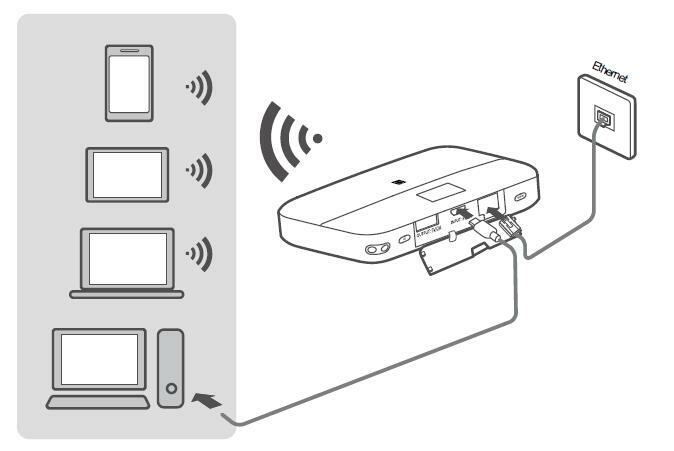 Touch your device against the NFC sensor on the HUAWEI Mobile WiFi Pro2, as shown in the following figure. When detection is successful, the HUAWEI HiLink app will automatically open on your device and you will be connected to Wi-Fi. The Wi-Fi icon should be visible in the status bar of your device if connection has succeeded. * This feature is not available for iOS devices. * If HUAWEI HiLink is not installed on your device, touching the device against the NFC sensor on the HUAWEI Mobile WiFi Pro2 will automatically bring up the Choose an action screen. From here, select New tag scanned (the name of this option may vary by device) and follow the link to download and install the HUAWEI HiLink app. * You can also download and install HUAWEI HiLink by scanning the QR code in the HUAWEI HiLink app section of this manual. Alternatively, search for and download HUAWEI HiLink in Google Play or the HUAWEI App Center. 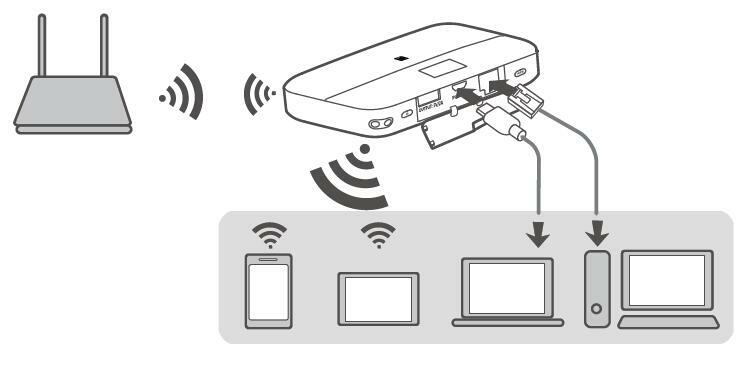 The Wi-Fi extender feature increases Wi-Fi coverage and connects to Wi-Fi networks where available to reduce mobile data usage. On the HUAWEI HiLink app, enable the Wi-Fi extender function, and connect HUAWEI Mobile WiFi Pro2 to a Wi-Fi network. You can charge your phone or Bluetooth headset with the HUAWEI Mobile WiFi Pro2 using a charging strap or charging cable. 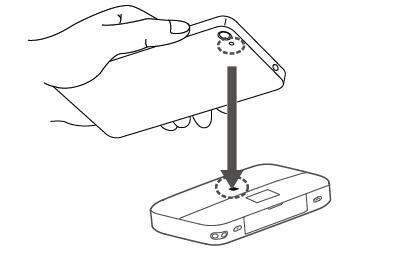 Please open the charging strap as indicated in the figure. Note: The charging strap is a standard accessory. 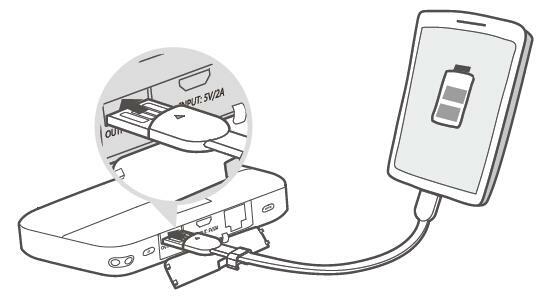 Insert the charging strap in the port shown in the figure. Note: Your HUAWEI Mobile WiFi Pro2 will not be able to charge other devices when it has a low battery or is overheating. Please only use compatible chargers provided by a designated manufacturer. Note: The charger is an optional accessory. To buy a charger, please contact an authorized retailer. Why isn’t my HUAWEI Mobile WiFi Pro2 responding? > Try restarting the device. If that doesn’t work, restore the device to its factory settings. Why can’t I connect to my HUAWEI Mobile WiFi Pro2 sometimes? > To save power, your HUAWEI Mobile WiFi Pro2’s Wi-Fi auto off feature is designed to turn off Wi-Fi when there haven’t been connections for a while. You can press the POWER button to turn on Wi-Fi again. Alternatively, you can disable this feature, although this might impact battery life. Log in to the web interface and disable the Wi-Fi auto off feature. Why won’t my HUAWEI Mobile WiFi Pro2 connect to a network even though all the settings are correct? > The PIN verification feature might be enabled. Launch HUAWEI HiLink and enter the correct PIN. > You can disable this feature if you find entering the PIN regularly inconvenient. > From the HUAWEI HiLink app, select Settings and then disable the PIN verification feature. Why can’t I access the web interface at 192.168.8.1? > This is likely due to an IP address conflict when the HUAWEI Mobile WiFi Pro2 assigns itself a new IP address. Please try 192.168.9.1 in this case. If your HUAWEI Mobile WiFi Pro2 has an LCD screen, the new IP address of your web interface will be displayed. Why won’t my HUAWEI Mobile WiFi Pro2 power on? > Your battery is probably out of power. > Charge your HUAWEI Mobile WiFi Pro2 for a while and power it back on. Why did my HUAWEI Mobile WiFi Pro2 power off all of a sudden? > Your HUAWEI Mobile WiFi Pro2 may overheat when you use it continuously over a long period of time, and thereby trigger its automated protection system. Wi-Fi will be turned off and your HUAWEI Mobile WiFi Pro2 will power off if this occurs. > Please ensure the device is properly ventilated and cooled before you power it on again.